How are we able to be God’s sheep? This verse tells us the way to do that. Acknowledge that He is God! Fully accept who He is. Realize we are created by God and the reality that we are His. 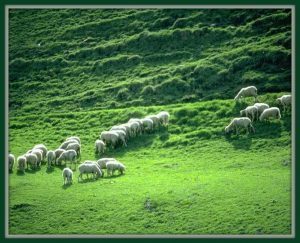 Then we can believe that we are His people and the sheep of His pasture. It is by fully trusting Him we reach a place of safety, peace, provision and relationship with God the Father, His Son, Jesus and the Holy Spirit.